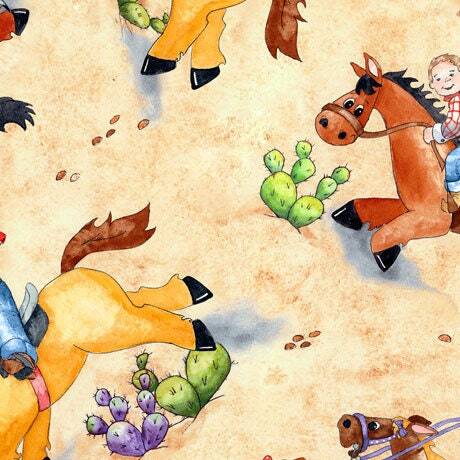 Saddle up for ©Desiree Designs cowboy ranch! 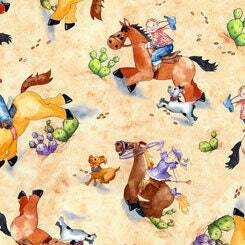 Hats, boots and lassos accent our cowboy and cowgirl friends as great coordinates. The main panel and border stripe have plenty of allovers to round out your next project. 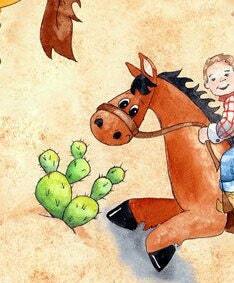 Giddyup & Yeehaw! The wonderful shades of brown, yellow green, blue, gold are the perfect coordinate to Horsin' Around Western Cotton Panel now in stock.